The Rhein-Ahr-Greeters is a volunteer programme that matches visitors with friendly and enthusiastic residents of the Rhein-Ahr region, including Bonn, Remagen, Sinzig, Bad Breisig, Bad Neuenahr – Ahrweiler. We are happy to share the city and region they love with families, friends, and individual travellers. The programme was initiated 2010 after some greeters in the Rhein-Ahr region saw a film clip on the Paris Greeters and were fascinated by the idea of sharing their passion and knowledge about where they live. Recently, there is a Greeter group limited to the area, the Federal-, Beethoven- and UN- City of Bonn. A greet (visit) with a greeter leaves a lasting impression of the city or region, the warmth of its people, and the richness and diversity of its neighbourhoods, which each visitor can treasure for a lifetime and pass on to their families and friends. The Rhein-Ahr-Greeters’ services are available FREE OF CHARGE, and there is a NO TIPPING POLICY. 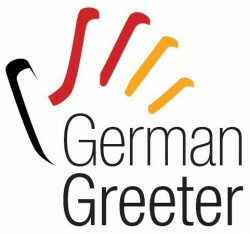 The Rhein-Ahr-Greeters is a proud member of the Global Greeter Network, an informal virtual association of Greeter programmes around the world. Greeters are volunteers who share their love for their cities in an enthusiastic and hospitable manner. and/or see all the Global Greeter destinations worldwide. 6) Greeter programs create a mutually enriching opportunity for cultural exchange, create links between ordinary people in creating a better world.